Alexa must face enemies known and unseen in the ultimate fight for survival. 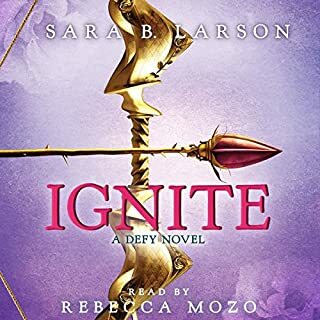 The remarkable third novel in Sara B. Larson's bestselling Defy series! 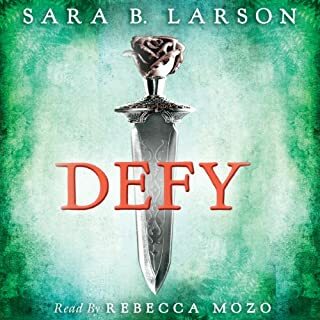 Acclaimed author Sara B. Larson has woven a stunning, romantic, and evocative finale to the Defy trilogy, one that is sure to leave readers breathless until the very last page. 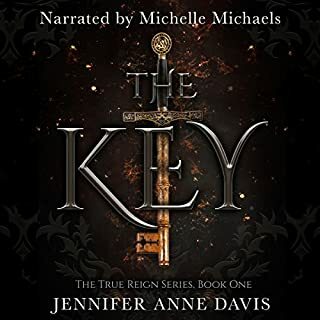 Audio extras: Additional stories written and introduced by the author! 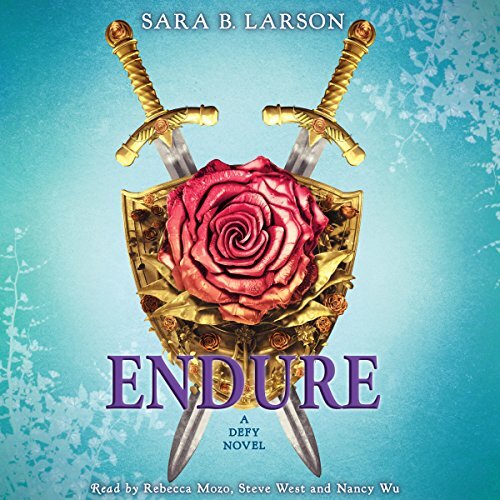 ©2016 Sara B. Larson (P)2016 Scholastic Inc.
Where does Endure rank among all the audiobooks you’ve listened to so far? Of the books I've listened to of late, this one is definitely at the top of the Good list. It had purpose, the characters were well developed and moved with the story, and (most importantly) it didn't lag. A lot of times, you have authors who are trying to stretch out their last book in a series because they used up all their plot in the first two. Not so with this book. Kudos Sarah B. Larson! What was it about this book that made the narrator emphasize every third word? Literally. I'm not exaggerating. I counted. It was SO annoying that it made a great book incredibly difficult to get through. Word to the wise Rebecca Mozo...just because its a dramatic reading, doesn't mean that EVERY SINGLE sentence needs to be rife with dramatic tension and expression. Dial it down please! To the producers of audiobooks, current and future: ask your narrators to CALM DOWN. Too many horrible and annoying narrators ruin books that would otherwise be a pleasure to listen to. This book is a great read. I love the narrators. their voices have a way of painting the story in your mind. I will truly miss the characters in the book. The story is well woven and it makes you feel real emotions. It's a book full of surprises, loss and heartbreak. And above all Love. The story is intriguing and has held my attention through all 3 books, but I honestly barely got myself to purchase this last one. The main narrator has a great voice, but went WAY overboard on the dramatic tones. Really tough to finish listening to, even while eagerly wanting to know how the story ends. It's almost perfect, but the voices just aren't what I imagined... but that's just me. This is a great series! The story is exciting and compelling! If you like fantasy mixed with a female heroine, this is for you! I'm so sad the series is over but I love the way the fear and anticipation of something terrible happening balance out creating ultimate suspense. 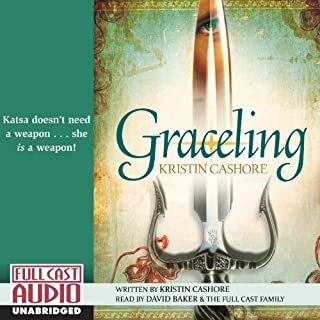 The final battle is an ultimate test for Alexa to see if she is strong enough and if she loves Damian enough to overpower Rafe and King Armando. I really enjoyed reading about the main characters and how they both had to play a part, to be something they were not in order to find each other and their true selves. Damien and Alexa fight the odds and then fight some more. I would recommend to young adult and fantasy readers alike. 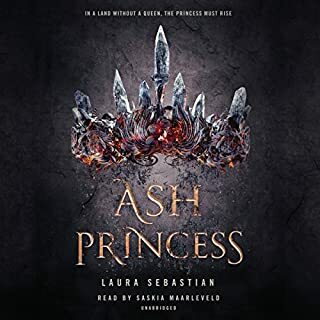 Narrator was hard to listen to at first but after time went by I could hear the changes in pitch and tone and that made it better and better as the series went on. the author did a wonderful job with the book. the ending was touching. the characters were so well developed it pulls the reader in to feel every hard won victory and loss by the characters. 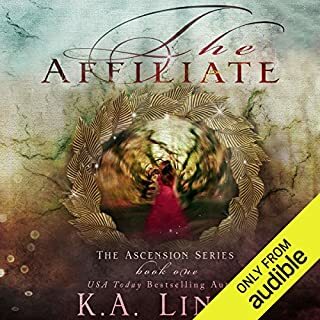 loved the series and hopes the author writes more in this fantasy world she created.